Luxury watch seller Danny Govberg is very busy these days with his Philadelphia-based company, even when he’s selling fewer new timepieces than he used to. That’s because his 102-year-old emporium, Govberg Jewelers, is seeing an explosion in the secondhand market, where the wealthy owners of expensive wristwatches such as Patek Philippe and Rolex are increasingly trading their used ones for a different (but not necessarily brand-new) style. It’s one of the biggest changes Govberg has seen in the industry’s market landscape in the past two decades. Swiss watchmakers have traditionally viewed the preowned market as competition; as the thinking goes, the only watch that can supplant a new Rolex in the shopping cart of a brand-devoted shopper is a vintage Rolex. But Switzerland has started to embrace the resale movement, hoping to lure shoppers back to stores by any means possible, says Reginald Brack, a watch and luxury analyst at market researcher NPD Group. Brands are looking to make up for the sales that the industry—a four-century-old backbone of Swiss’s luxury export portfolio—has lost since the rise of smartwatches and the corruption crackdown in China led to a multiyear slump. One of the first big players to get into the game is Audemars Piguet, which plans to open standalone stores to buy and sell secondhand timepieces, according to Chief Executive Officer François-Henry Bennahmias. 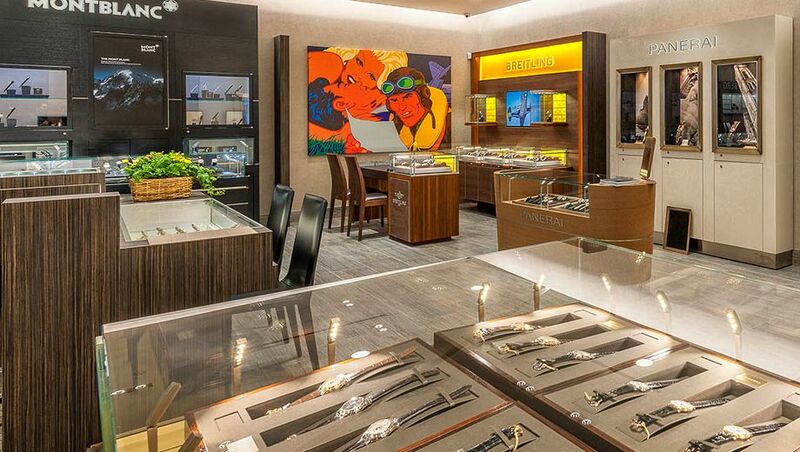 He estimates that the preowned business could be 10 to 20 times the size of the market for new watches. The company, which makes about 40,000 new timepieces annually, is also seeking more control over its products that are currently mostly resold by auction houses, independent local shops, and online platforms such as Amazon.com Inc. and EBay Inc.
Jean-Claude Biver, head of LVMH watch brands TAG Heuer, Hublot, and Zenith, has says he’s considering entering the market, too. Breitling is planning to buy and sell used watches starting in the middle of this year, mostly online through a website it will launch just for that purpose, says CEO Georges Kern. Luxury brand Richard Mille is exploring the sale of secondhand watches in the Americas, the company said in an e-mail. John Simonian, CEO of Richard Mille Americas, also recently introduced a preowned service for Westime, a 31-year-old watch company he founded, because of customer demand. “Customers bought watches from us in the past and have seen those timepieces increase in value. So this gives them a very good opportunity to upgrade to a new watch they love,” Westime President Greg Simonian said in an e-mail. Richemont declined to comment for this article. The size of the preowned market is about $5 billion annually, including the timepieces sold at auction, says Jon Cox, an analyst at Kepler Cheuvreux in Zurich. While that’s a fraction of the market for new watches, which consulting firm Bain & Co. estimates is €37 billion ($46 billion), it’s one of the fastest-growing segments in the industry. The preowned business is doing so well that Govberg saw potential in Asia and has teamed up with watch veterans in the region to launch WatchBox, an e-commerce platform for buying, selling, and trading secondhand luxury timepieces. WatchBox opened a new store in Hong Kong in September, which has seen sales of $3 million every month since opening, and is planning locations in the U.K., Germany, France, Italy, and Neuchâtel, Switzerland, this year. 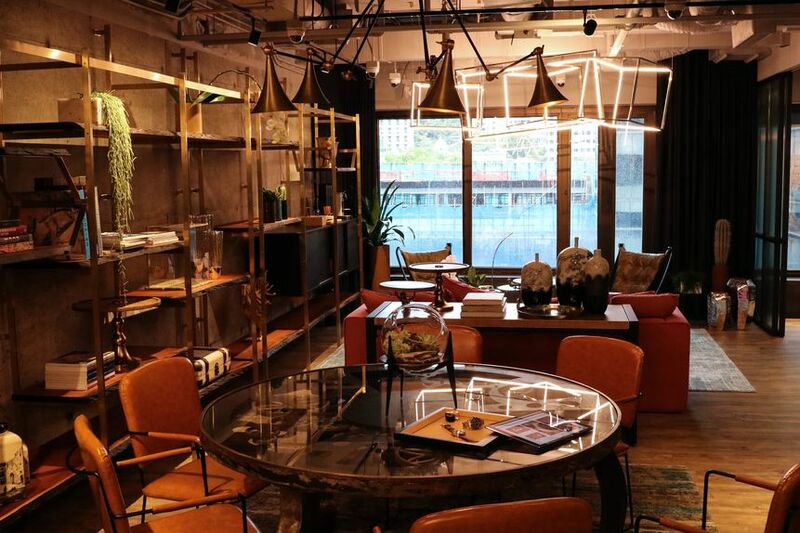 The “trading floor” at WatchBox in Hong Kong, where buyers and sellers can examine products with the help of specialists. Govberg Jewelers, a third-generation family company with an average transaction price of $10,000, has even begun to accept Bitcoin. Govberg, a certified dealer and repairer of brands including Jaeger-LeCoultre and IWC, buys and sells preowned timepieces but also specializes in arranging trade-ins. Customers can choose a watch they want to buy, speak to a specialist on the phone to agree on the estimated value of the piece they want to trade in, and then send that one off to the retailer. The new watch will be shipped within 48 hours. Watch enthusiast Abe Rahey says the service is like “Christmas for me.” The director of engineering at Google has been fascinated by the complexity of watches since he was 8 years old but had no way of indulging his interest because of their high costs. Rahey has tried to trade in his old pieces at retailers in the past but kept getting turned down. Since he stumbled upon Govberg two years ago, trying out new pieces has become a hobby, he says. Last year he bought a Rolex Explorer II, which he ended up not wearing. With its price tag still on, Rahey decided to sell the watch six months later and got back more than 90 percent of its original value. Now he trades for brand-new pieces about five times a year and has owned brands including Panerai, Omega, and F.P. Journe. He counts Rolex as one of the five in his current collection, with average prices ranging from $7,000 to $12,000. “When you can trade them in, you’ve got nothing to lose,” Rahey says. I had no idea of the value of luxury watch until recently. I had a watch as a wedding gift from my dad. I've never heard of the brand and I thought it's just one of those no drill brand so I never wore it and left it in the drawer. My sister offered me $100 for it seeing that I never wear it. I declined cuz it was a wedding gift and I'm not short of $100. Until recently when I was talking to a bunch of friends online discussing luxury watches. I thought I might ask if they know what that is. I had to spell it out "A.U.D.E.M.A.R.S P.I.G.U.E.T"
Everyone almost had a heart attack hearing that I almost sold it for $100. lol! Comment on "Trade in your luxury watch like a BMW? It's a booming business"